We had a GREAT turn out for Muffins with Moms this morning. Thank you for participating. 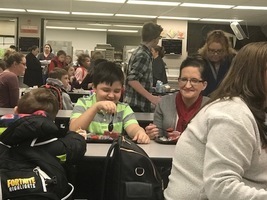 Our students love when their families come eat with them. Happy Valentine's Day! 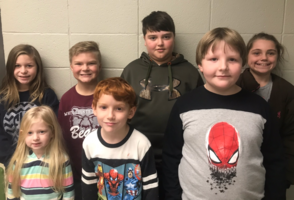 #HEARTHEROES have taken over @ White County Central Elementary & students are committing to heart health! Are you in? 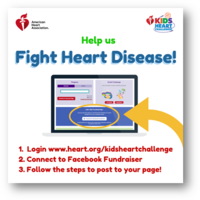 Get started now - go online at www.heart.org/kidsheartchallenge. 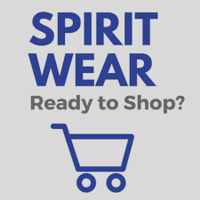 Visit wccespiritwear.com to order your WCC spirit gear. From now until Feb. 10th you can receive a 10% discount. Order online and the items ship straight to your home. 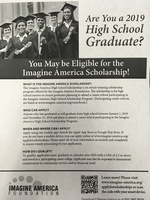 Purchases help support your school! 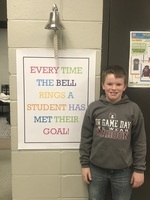 Congratulations to Benjamin Brown for ringing the goal setting bell! He met his personal goal in Reading! Nice Work Ben! We are proud of you! 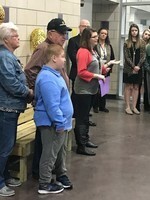 Congratulations to Addiken Mize! He met a personal goal he set in class! Way to go Addiken! We are proud of you! Congratulations to Elijah Barber! 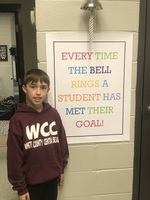 He rang the bell for earning 10 points in Reading. Way to go Elijah! Congratulations to Emerson Simmons! She met her personal goal on her Math MAP assessment! Way to go Emerson! Congratulations to Laytan Hopkins! He achieved his personal goal on his Math MAP assessment! Excellent work Laytan! Congratulations to Elyssa Tutt! She met her personal growth goal for her Math MAP assessment! Great Job Elyssa! Congratulation to Cami Davis! Cami met her personal goal on her Math MAP assessment! Way to go Cami! Congratulations to Jorge Hernandez! He met his personal goal on his Math MAP assessment! We are proud of your hard work Jorge! Congratulations to Giselle Perez!! She met her personal goal on her MAP scores! Outstanding effort Giselle! Congratulations to Jeshua Travis! He met his personal goal in Language! Nice work Jeshua! Congratulations to Drake Welch! Drake met his personal goal in Science! Way to go Drake! Congratulations to Logan Koser! He met his personal goal in Science! 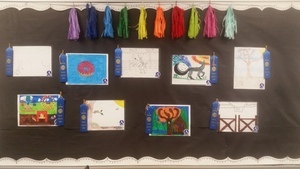 Excellent work Logan! Congratulations to Brooke Moudy! She met her personal goals! Awesome work Brooke! Congratulations to Addison Hays! She met her personal goals in Science and Language! Way to go Addison! Congratulations to Jesalynn Schmidle! She met her personal goals in Language and Science! We are proud of you Jesalynn! Congratulations Shayne Watson! She met her personal goal in Language! Great work Shayne! Congratulations to Lane Todd! He met his personal goal in Language! Way to go Lane! Congratulations to Mackenzie Eads! 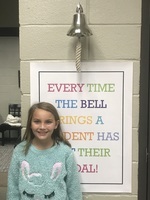 She met her personal goal for raising her MAP scores! Good job Mackenzie!! Congratulation to James Conway! He met his personal goal for raising his MAP score. Way to go James! 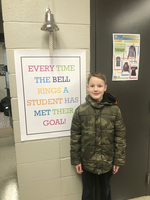 Congratulations to Kolyn Cloyes for meeting his personal goal! Kolyn set a goal for his MAP reading assessment and passed his goal! Way to go Kolyn! 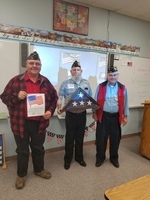 Congratulations to Evan Jones for meeting his personal goal. Evan set a MAP score goal and he exceeded it! Way to go Evan! 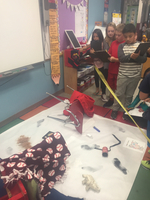 Third grade classes practicing their inference skills to figure out who committed the crime! Congratulations to Andy Smith for meeting his personal goal! Congratulations to Luke McKinney for meeting his personal goal! 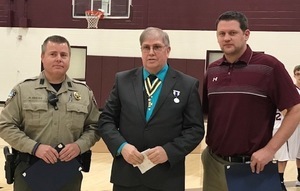 On Tuesday, November 13th Officer David Reeves and Coach Ryan Koerdt were honored for their heroic acts in saving the life of WCC 6th grader Evan Jones. The National Society of the Sons of the American Revolution presented Officer Reeves with the Law Enforcement Commendation Medal. They presented Coach Koerdt with the Life Saving Award. Congratulations! Congratulations to JC Hollis for meeting his personal goal! 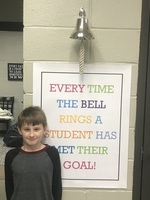 Congratulations to Cayden Cole for meeting his personal goal! 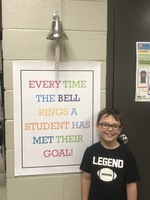 Congratulations to Haidyn Long for meeting his personal goal! 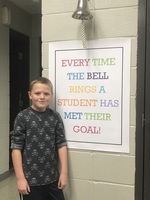 Congratulations to Jace Rogers for meeting his personal goal! 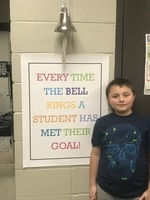 Congratulations to Brylen Miller for meeting his personal goal! 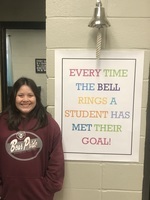 Congratulations to Breanna Vest for meeting her personal goal. 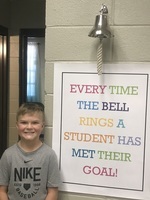 Congratulations to Gunner Buie for meeting his personal goal! 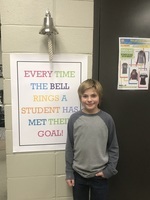 Congratulations to Lucas Reynolds for meeting his personal goal! 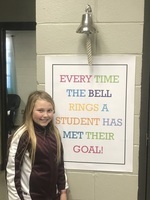 Congratulations to Madison Watson for meeting her personal goal! 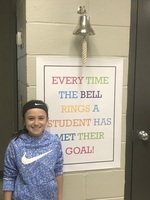 Congratulations to Ava Lowe for meeting her personal goal! 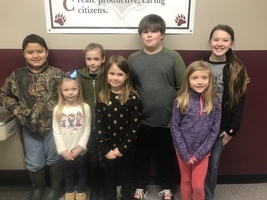 Congratulations to JT Hays for meeting his personal goal! 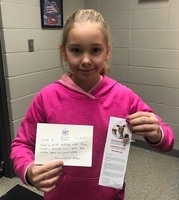 Congratulations to Emily Swindle for meeting her personal goal! 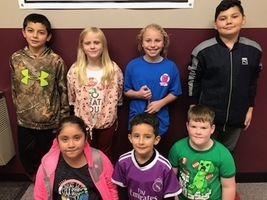 Riley Tamayo, 1st grade, has met her goal! We are SO proud of Riley! 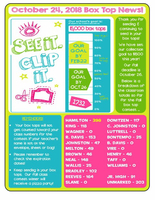 Boxtops for the fall pizza party are due this Friday! Mrs. Hamilton’s kindergarten class is in the lead! Tuesday, October 16th Mrs. Brooke Davis' 5th grade math students had to escape the evil Voldemort with the help from Harry, Ron, and Hermione. 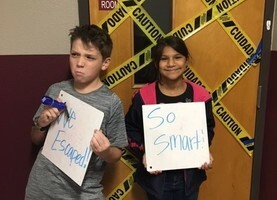 Students were required to solve fraction math problems for their clues that would help them escape. Several muggles successfully escaped Azkaban and a few muggles were SO close to escaping Voldemort! 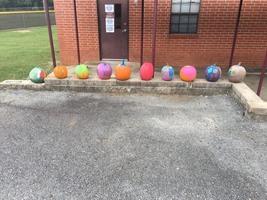 Students in Mrs. Sawrie's class painted pumpkins! 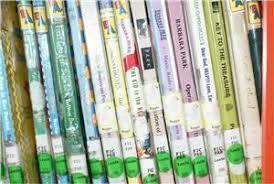 ReadnQuiz, a reading program for grades 2-4, starts this month. A description was sent home Oct. 1. Students read a book, take a quiz and earn points that can be traded for Scholastic Dollars at the Spring Book Fair. Thank you! 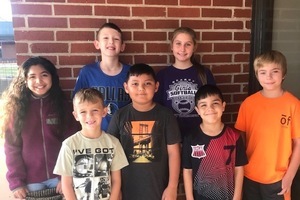 ReadnQuiz, a reading incentive program, begins this month. 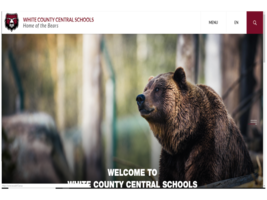 Beginning in second grade, students may read books and take a comprehension quiz that earns them points in the program. Their points may be traded for scholastic dollars to be spent at our Spring Book Fair! Reading Makes Cents! 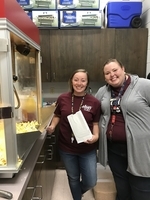 WCC hosted our first Family Movie Night. We had a great attendance to watch The Jungle Book. Thanks to our teachers and staff for all their hard work preparing and hosting!! WHOOO Had a Successful Book Fair? Mrs. Baird created an enchanting environment for the fall Scholastic Book Fair. She had several volunteers who showed up daily to help with the students. The students loved looking at all the books and choosing books to add to their personal libraries. The event was a huge success. It raised $4,130. Thanks to everyone for their participation.